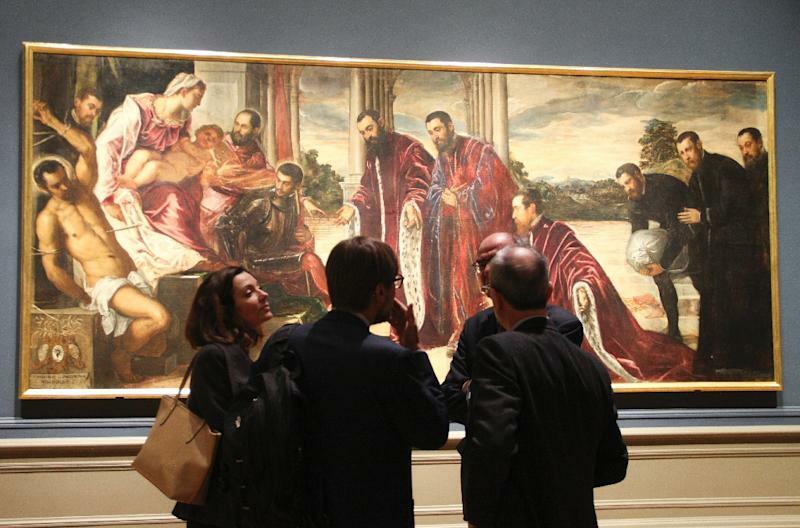 Washington (AFP) - When he was just a teenager, Tintoretto was sent to Italian Renaissance painter Titian's studio, only to be kicked out within days because the older master got jealous. Or so goes the legend. 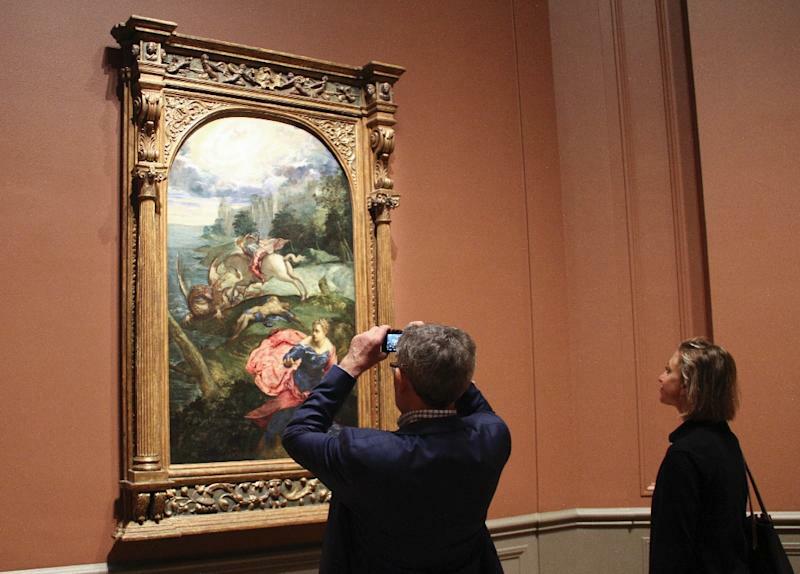 What is clear from the first major Tintoretto retrospective outside of Europe, opening Sunday at the National Gallery of Art in Washington, is that the "impetuous genius" critics reviled for his free, "unfinished" style was a bold innovator whose impact can still be felt today. The exhibition, a debut for the museum's first woman director Kaywin Feldman, comes on the heels of city-wide celebrations and shows for the artist's 500th birthday in his hometown of Venice. Jean-Paul Sartre called Tintoretto the "first film director," a theatricality seen in paintings like "The Conversion of Saint Paul" (circa 1544). The eponymous scene happens in one corner of a canvas otherwise dominated by extravagant, zigzagging brushstrokes deliberately left clearly visible -- then a groundbreaking innovation -- to depict events like horses tumbling down an outdoor staircase. 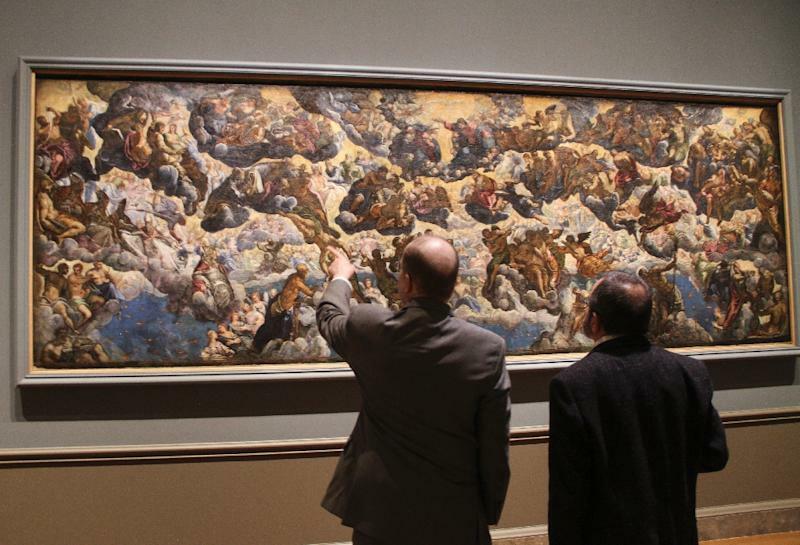 The nearly 50 paintings and more than a dozen works on paper that span the artist's career, on view until July 7, demonstrate how he lived up to the motto he wrote on a wall as a youth: "The draftsmanship of Michelangelo and the paint handling of Titian." There's a proliferation of superhuman, hyper-muscular bodies sometimes tumbling out of the sky and almost always in motion, as though Michelangelo's sculptures themselves were brought to life with unharnessed energy in an explosion of colors. Religious or historical subjects and mythological themes are rendered with spirited virtuosity lacking spatial cohesion, earning the man born Jacopo Robusti his other nickname, "Il Furioso." His bravura, shocking at the time, foretold of innovations that came centuries later. "We would make the case that it's possible to draw a direct line from Tintoretto's dynamic compositions and eloquent brushwork through (Peter Paul) Rubens to (Eugene) Delacroix and (Theodore) Gericault and right on up to (Willem) de Kooning and to the abstract expressionists and to painters of the present day, such as Gerhard Richter," said co-curator Robert Echols. Despite dominating Venetian painting in the second half of the 16th century, Tintoretto later became somewhat of a neglected master. Museum officials through the ages had to contend with his oeuvre being rooted in Venice, works by assistants and followers being wrongfully attributed to the master and the pieces' colossal size. His "Paradise" in Venice's Palazzo Ducale is considered the largest Old Master painting in the world at some 70 feet (21 meters) wide. A preparatory oil sketch crossed the Atlantic instead. Painted entirely by the artist, unlike the larger work completed for most part by assistants, it's still more than 16 feet wide.